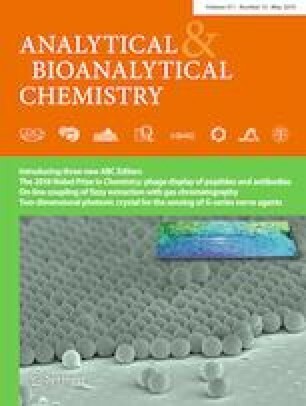 Cell-based assays utilizing reporter gene technology have been widely exploited for biosensing, as they provide useful information about the bioavailability and cell toxicity of target analytes. The long assay time due to gene transcription and translation is one of the main drawbacks of cell biosensors. We report the development of two yeast biosensors stably expressing human estrogen receptors α and β and employing NanoLuc as the reporter protein to upgrade the widely used yeast estrogen screening (YES) assays. A viability control strain was also developed based on a chimeric green-emitting luciferase, PLG2, expressed for the first time in Saccharomycescerevisiae. Thanks to their brightness, NanoLuc and PLG2 provided excellent sensitivity, enabling the implementation of these biosensors into low-cost smartphone-based devices. The developed biosensors had a rapid (1 h) response and reported on (anti)estrogenic activity via human estrogen receptors α and β as well as general sample toxicity. Under optimized conditions, we obtained LODs of 7.1 ± 0.4 nM and 0.38 ± 0.08 nM for E2 with nanoYESα and nanoYESβ, respectively. As a proof of concept, we analyzed real samples from plants showing significant estrogenic activity or known to contain significant amounts of phytoestrogens. The online version of this article ( https://doi.org/10.1007/s00216-019-01805-2) contains supplementary material, which is available to authorized users. We wish to thank Dr. Alessandro Filippini and Dr. Dario Zanichelli (Phenbiox Srl, Bologna, Italy) for providing soybean seed extracts, and Dr. Matteo Lamborghini (Alfavita Srl, Ravenna, Italy) for providing alfalfa plant extracts. This research was sponsored in part by PRIN 2015 “Multifunctional nanotools for advanced cancer diagnostics” (Prot. 2015TWP83Z), PRIN 2015 “Securing and ensuring sustainable use of agriculture waste, co-and by-products: an integrated analytical approach combining mass spectrometry with health effect-based biosensing” (Prot. 2015FFY97L), the NATO Science for Peace and Security Programme under Grant No. 985042, Air Force Office of Scientific Research (FA9950-18-1-0017) and National Science Foundation (MCB-1410390). LaLone C, Villeneuve DL, Doering JA, Blackwell BR, Transue TR, Simmons CW, et al. Evidence for cross species extrapolation of mammalian-based high-throughput screening assay results. Environ Sci Technol. 2018. https://doi.org/10.1021/acs.est.8b04587 in press.